The CARS section of the MCAT gives thousands of premeds nightmares every night. 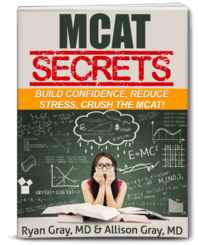 Whether you're an ESL student, lack confidence while reading, or are a slow reader like me, Jack Westin (save $100 of his CARS course using that link) and the Medical School Headquarters are here to help you score higher in every section so that you can be confident you are ready to get the MCAT score of your dreams. New episodes of The MCAT CARS Podcast are released every Wednesday. To make sure you don't miss an episode, subscribe for free using the links below to get the show on your device automatically each week!